Today, Bob Marley’s look is most known for his iconic dreadlocks. He is also usually depicted wearing tie-dye shirts with the colors red, yellow, and green. A lot of Carmen Miranda outfits are a long, flamenco-style skirt, with a cropped or bra-style top that is bedazzled or has flounces along her shoulders. 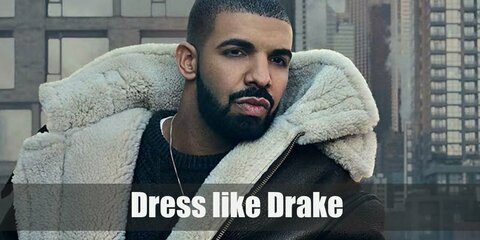 Drake wears a plain black sweater topped with a leather jacket with fur hood, tan pants, a belt, a fashionable pair of sneakers, and a gold necklace. 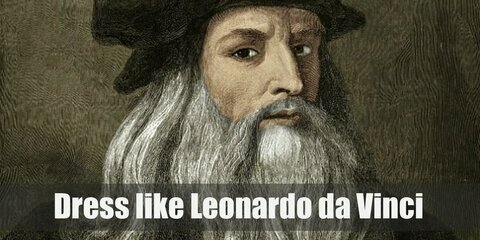 Leonardo Da Vinci is often depicted as having long silver hair with an equally long silver beard. The style of his clothes mimic the Renaissance fashion of artists and painters of the time. Elvis has had many popular outfits throughout his career, and this outfit is one of his more famous ones. Here he wears an all-white ensemble, with pops of red and glittering details. He sports on his famous sideburns and iconic hairstyle. David Bowie stage outfits and costume were always very unique and creative in ways that had never been seen before. Here are his Labyringth and Ziggy Costumes. Amy Winehouse wore many different outfits, but the one many people think of her signature outfit as is a white tank top with a black bra peeking over the top, low sitting blue shorts, large hoop earrings, and red slip on sandal shoes. Axl Rose is popularly known for his long, straight, dirty blonde hair wrapped with a paisley bandanna, graphic muscle tees, and lots of edgy accessories. Eazy-E defined what an MC looks like with fashion from the hood. Black baseball cap with matching sunglasses, jacket and fingerless gloves. Throw in an oversized t-shirt, relaxed pants for comfort and some sneakers for style. For this outfit, Run DMC are wearing trademark black Adidas tracksuits and sneakers, their gold blings, and bucket hats. With her big hair of a beauty queen's style, Lana brought back the glamour of the-good-old-day Hollywood in her early album, Born to Die. He wore many fancy and unique suits, and also had the trait of wearing a special red bowtie that stood out from his solid colored suits. For the perfect Josephine Baker costume, you will have to have lots of jewels, fur, feathers, as well as a beautiful and form fitting dress. This amazing painter sports on an easygoing smile and lovable personality that made him an Internet star even 2 decades after his last television episode. Bob Ross’ style is eclectic yet retro with his huge afro, light denim long-sleeved shirt, and denim pants. 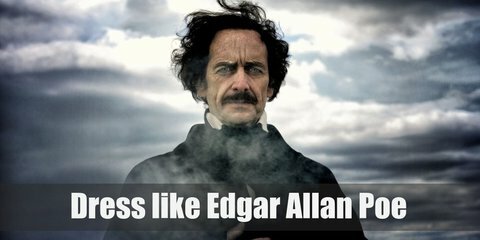 Edgar Allan Poe way of clothing was always following his eccentric way of life. His suit was a pretty common piece for that time. However, he wore a whole bunch of interesting details.